Have any of you good modeler's got a reccomended tutorial use learnt of? I know there's alot of tutorials but the last one I watched didn't work properly for sim. Can we get a preview please? I can skin but I don't like skinning anymore . Here's the two most popular skinners that have facebook pages: Cocow Mx Simulator Graphics and Tooh't Graphics. Topic: 2016 ktm 125sx skin??? 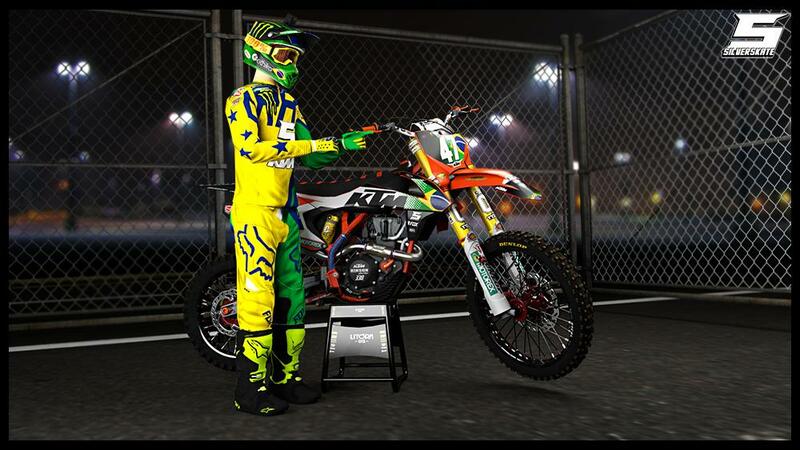 Re: 2016 ktm 125sx skin??? I put one together but I can't release becuase Jay hasn't released his ktm to the public. Looks good but did he get permission to release T-Crain's boots? That's an awesome edit. Would literally do anything to be part of that team . onefoureight wrote: God dammit I got excited for a second. Is this scene released or something? If so, anyone got a link? That's bloody good for a first render. Good job! I'd say mainly work on lighting, seems abit dark.